I don’t think I would get into a fight with anyone by saying that broccoli is healthy and gummy bears are not, but there are many foods that fall into a grey zone. Some foods have what we call a “health halo” around them. 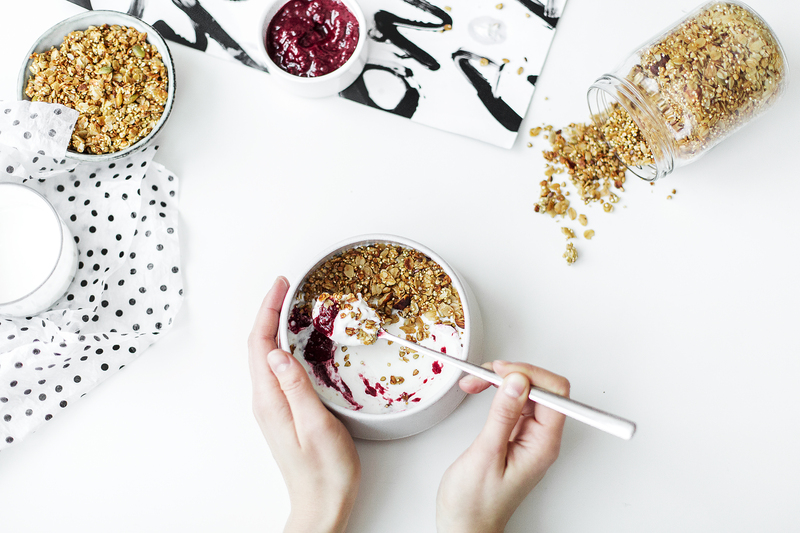 These foods give off the impression of being nutritious, but when you take a closer look at the ingredients and nutrition facts… you discover a different story. Here are 10 commonly used foods that sound healthy, but may not be. From the sap of the agave plant, this nectar is slightly sweeter than table sugar so less can be used to get the same sweetness. In recent years, however, the dangerously high fructose (sugar) concentration of agave syrup has proven it to be more harmful to our bodies than High Fructose Corn Syrup and produces the symptoms of metabolic syndrome (poor cholesterol, high blood pressure, high body fat %). Alternative: When you need a kick of sweetness use natural, unprocessed sweeteners like pure maple syrup, honey, or dates. Fruit juice contains only the natural sugar of the fruit so when you drink a glass, you are consuming only the sugar at a rapid speed. To make 1 glass of juice you use roughly 5-7 whole fruits. The fruit is processed until only the juice remains and all the solid parts are discarded. The solid parts are the most important because they contain the vitamins, minerals, and, most importantly, fiber. Fiber helps to slow down the digestion of sugar, which is why eating a fruit is far healthier for you than fruit juice. Alternative: Eat the whole fruit. Fruit is not bad for you. It has naturally occurring sugars that are great for your body. The problem arises when healthful foods, like fruit, are processed away from their natural state and essential components of the food are discarded. This oil is misleading because vegetables are healthy so their oil must be too, right? Unfortunately, this is not the case. Vegetable oil is made in a factory using genetically modified crops and seeds that are washed with chemicals, exposed to high temperatures, and then deodorized to hide the rancid smell. Aim to avoid this oil as it can contribute to inflammation, cancer, heart disease and elevated LDL (bad) cholesterol levels. Alternative: Try using extra virgin olive oil or avocado oil in its place. 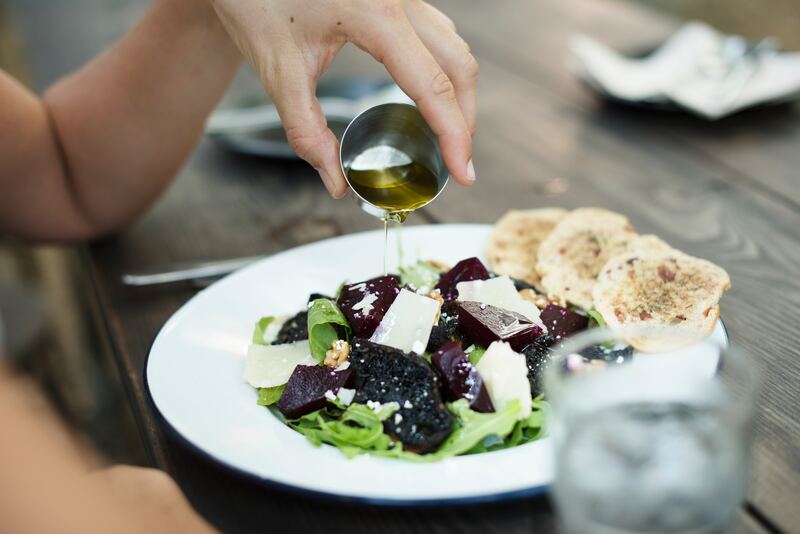 Want to learn more about cooking oils? Check out this post. This kitchen staple is the processed version of vegetable oil and is created through hydrogenation. In this, vegetable oil is heated to a high temperature, exposed to high pressure, and filled with hydrogen gasses until it becomes solid at room temperature. The trans fats created in this process are strongly correlated with heart disease, poor cholesterol levels, and chronic illness. Alternative: Butter! It is a minimally processed fat and heart-healthy alternative to the trans-fats found in margarine. Butter from grass-fed cows even has the potential for higher concentrations of essential nutrients and vitamins. Repeat after me, “fat is not the enemy”. 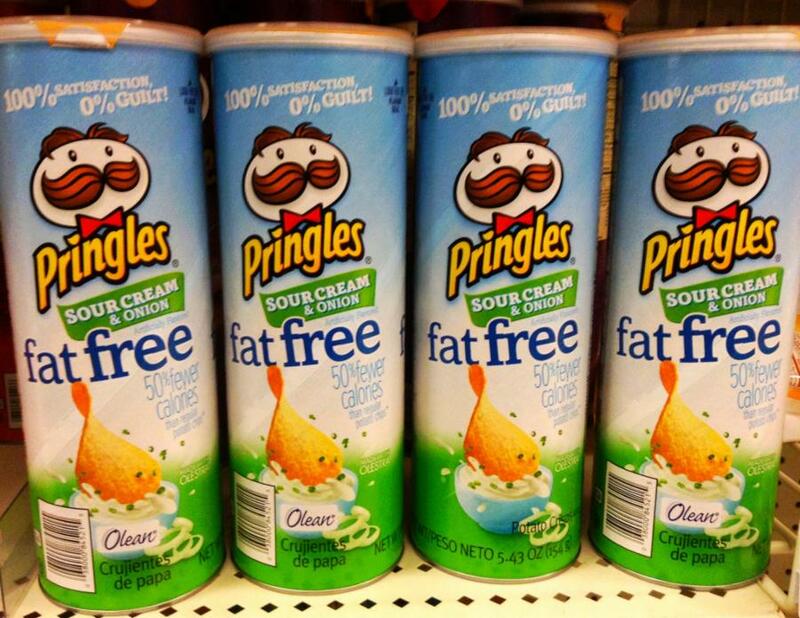 Fat-free does not mean something is low-calorie, sugar-free, or a health food. Fat is an essential macronutrient that your body needs to thrive and function efficiently. Manufactured foods marketed as “low or fat-free” have, on average, 10% more calories and 40% more sugar than their full-fat counterparts. Companies add in these additional sugars to replace the flavour that is lost when fat is removed. Alternative: Aim to eat a balanced diet that includes vegetables, protein, whole-grain carbohydrates, and healthy fats. Healthy fats are unsaturated and come from a variety of sources including nuts, seeds, avocados, cheese, etc. Although they have the same taste as fresh fruits, dried fruits are less nutritious, higher in calories, and have a significantly lower water content. It is easy to overeat dried fruits because they are smaller in size than their fresh counterpart, and are marketed as fruit, making us believe they are a healthy option. For example, ½ cup of dried apricots is 106 calories, while a ½ cup of fresh apricots is only 40 calories. The fresh apricots will fill us up faster, give us the vitamins and nutrients we’re looking for, and contribute to our total daily water intake. Regular, reduced-fat, and natural peanut butter all have roughly the same amount of calories, but the regular and reduced-fat varieties tend to have more added sugars and oils and less of the monounsaturated (good) fats our body needs. Alternative: Look for a natural peanut butter with only one ingredient on the list – peanuts. Better yet, find a store where you can grind your own peanut butter. Water is essential to life, and so are vitamins. But when the two are combined in a bottle with food colouring and sugar, an unnecessary product is created. Have you ever tried taking a multivitamin on an empty stomach? You need to eat food when you take a multivitamin otherwise your stomach will get upset. However, you can have all the vitamin water you want on an empty stomach – a clear sign that there is more sugar than actual vitamins in there. Alternative: Drink plain water. If you really need some extra flavour try adding a lemon wedge or cucumber. Aim to get all the vitamins you need from food or, if you really need it, take a multivitamin when directed. 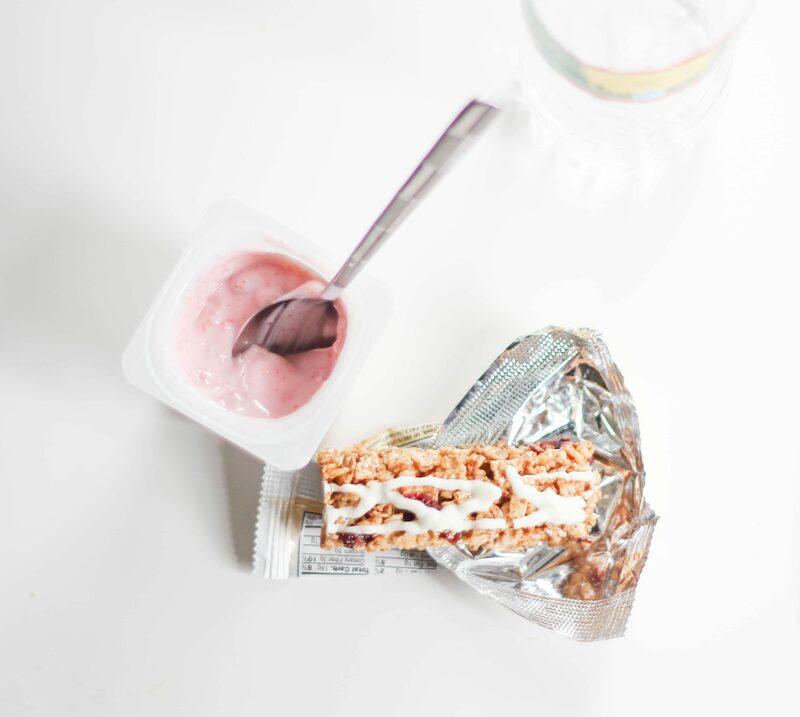 The average cup of flavored yogurt has 30 grams of sugar per serving — that’s as much as some chocolate bars. While some of these sugars naturally occur in dairy products, a lot of these sugars are added to improve the taste. Alternative: Reduce the sugar by creating your own yogurt blend. Start with plain Greek yogurt and add fresh fruit, a drizzle of honey, a tsp of pure maple syrup, or a dash of vanilla extract. Don’t let the oats or peanuts fool you, most energy bars are junk food in disguise. They are often made with added sugars, processed foods, and are insanely high in calories – especially for something that won’t keep you full for very long. Alternative: If these bars are a must-have, choose one with 6 grams of sugar or less per bar, fiber to help slow down the digestion of sugar, and is packed with protein. Bonus – make your own by following this simple recipe (link).